Bring incredible flavor to the meals at your restaurant, bar, or catered event with OK Foods 5 lb. Bag 5 oz. 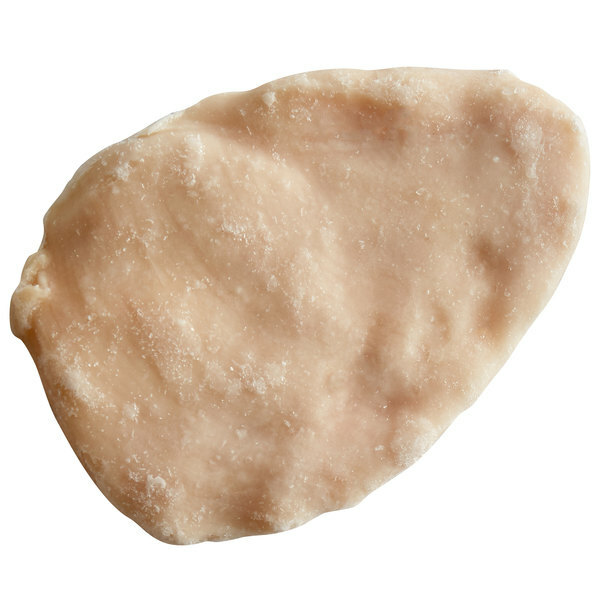 boneless skinless chicken breasts! These are perfect for frying, baking, and grilling, and they can easily be incorporated into a variety of cuisines. Whether these quality chicken breasts are cooked as the main entree, shredded into soups, diced onto salads, or sliced into a healthy wrap, they're sure to be a high-use item in your kitchen. The chicken is incredibly moist with a natural chicken flavor that pairs perfectly with a side of your signature sauces or a favorite ranch dressing. To bring out the authentic flavors of this chicken breast, serve it as a main entree with a sprinkle of salt and a simple squeeze of lemon to impress your guests with the natural flavors of the chicken. These 5 oz. portions are prepped and frozen to preserve freshness and help you produce consistent meals. They come boneless and skinless, to save you prep time. You have the option to thaw and use each chicken breast as needed, ensuring the meat stays fresh and no food goes to waste. Packaged without any marinade or seasoning, each chicken breast brings versatility and options to our kitchen! Use a marinade or sauce and grill these breasts to perfection, or toss them on a caesar salad for a delicious appetizer. 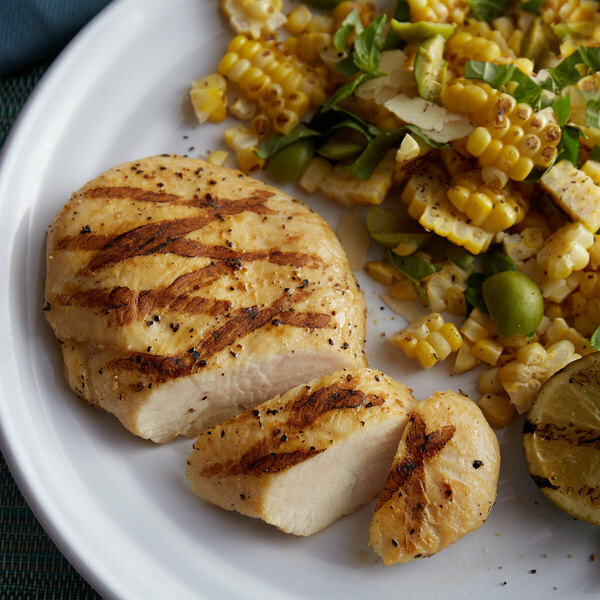 These chicken breasts are an easy and convenient addition to your establishment's menu. OK Foods, a Bachoco company, was founded in 1933 and since then has evolved from a livestock and poultry feed manufacturer to one of the world's largest chicken producers today. Their ethically raised chickens are raised on family-run farms and fed their own proprietary feed blends, free from hormones and steroids, to ensure a well-balanced diet. The result is producing only the highest quality chickens that are responsibly sourced and a wide variety of products offered to the market. With high quality products that are great tasting, serve OK Foods in confidence to your customers!